Yellow water in your fish tank can be good or bad. 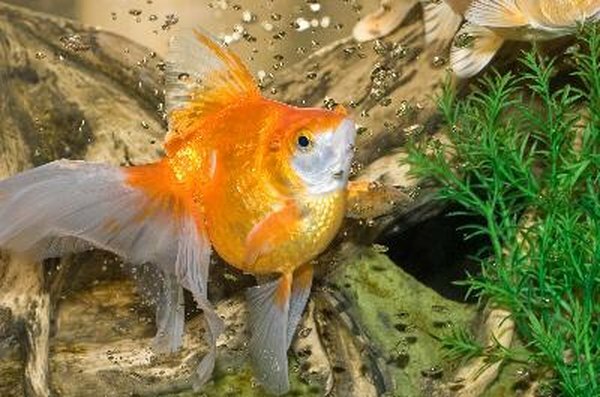 There are two reasons the water in your fish aquarium might turn yellow. One is harmless and even preferable and beneficial for certain species of fish. The other is a problem caused by a dirty tank or improper tank setup. The No. 1 cause of yellow aquarium water is tannins. These natural astringents will leach into your water if you use driftwood, especially "African driftwood" or "African root"; and the newer your wood the darker your water. If you have this wood in your aquarium and the water is clear, not cloudy, and the color ranges from light yellow to tea brown, you are dealing with tannins. Tannins from African root, African wood, and other woods sold specifically for aquariums will not hurt your fish, and some species need tannins to thrive. Most tropical fish do better with some tannins. Almost all South American species prefer water with a high tannin level. If fact, some of these fish are called blackwater species because the rivers where they live in the wild have such a high concentration of tannins that the water is the color of strong black tea. There is no need to do anything if your water is yellow from tannins. The effect will slowly disappear over time. If you are concerned, you can do water changes, or soak your aquarium wood several times in a separate container to remove some of the tannins before adding it to your aquarium. You are facing a problem if your yellow water is due to dissolved organic carbons. This is a waste issue. You have a DOC problem if your water is cloudy, you have no aquarium wood in your tank, fish are sick or dying and there is an unpleasant odor. You may see clumps of decaying waste or dead plants. This problem is more common in brand new tanks and tanks in which you've recently switched to a new type of food. Improper filtration, infrequent water changes, dying plants, dead fish or invertebrates in the tank, overcrowding, leftover fish food and uncured gravel all contribute to DOC. Dissolved organic compounds can cause "toxic blooms," whereby microorganisms growing in the DOC deplete the oxygen in your tank and cause fish death. Prevention is definitely worth a pound of cure for DOC issues. Cure your gravel by setting up and running your aquarium for two weeks with just plants before you add any fish. Then, introduce just a couple of fish and slowly work your way up. This procedure allows the good bacteria that form your biological filtration system to establish. Perform regular water changes, clean your gravel with a special aquarium siphon called a gravel vacuum, and avoid overfeeding your fish. To treat a DOC issue, move your fish into clean, dechlorinated water. Drain your tank and vacuum the gravel. Refill it with dechlorinated water and repeat until the new water does not turn cloudy or stink. You may need to replace your plants and treat your fish for any infections. What Does Conditioner Do for an Aquarium?